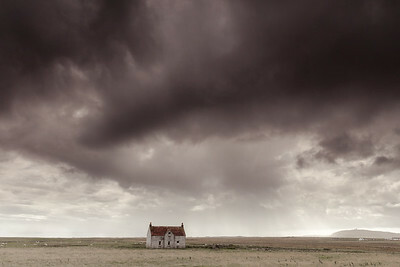 The little house captivated me for its position in a raw and barren landscape on the Isle of Tiree. 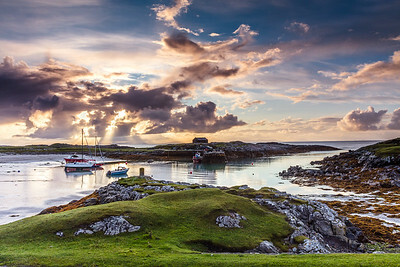 The island is known for being very flat, giving you far reaching views across out towards the other Hebridean islands. 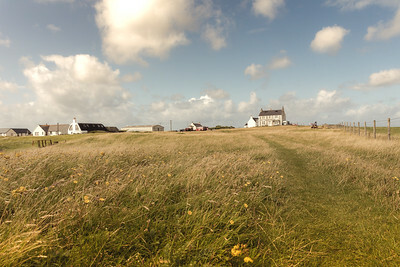 To the right of the photo you can see the island's only hill. 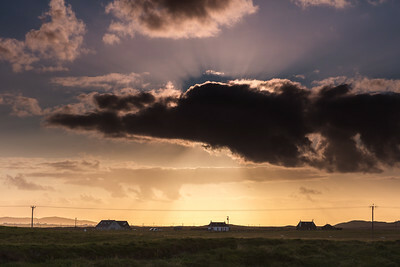 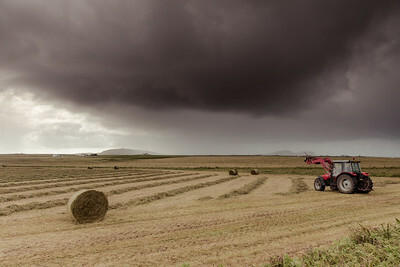 There was so much I loved about this view from the Isle of Tiree. 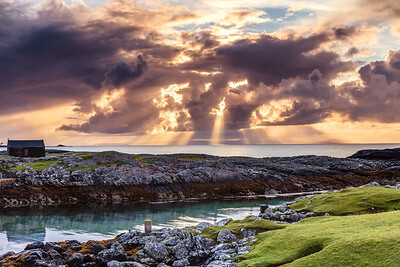 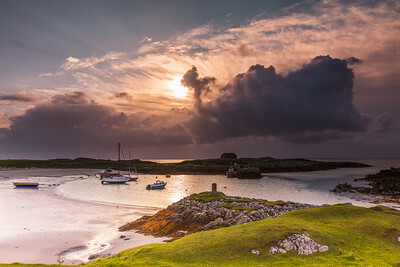 Looking out towards the Isle of Mull and Iona, where the sun beamed down just after sunrise I was captured the colours. 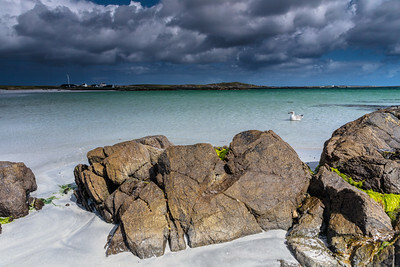 Turquoise water in the harbour, orange and yellows in the clouds and lush green grass. 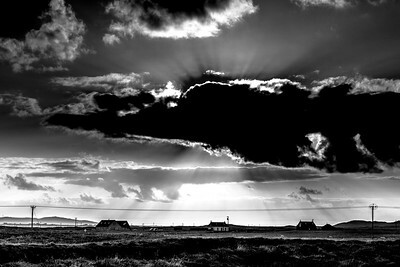 So contrasting and powerful. 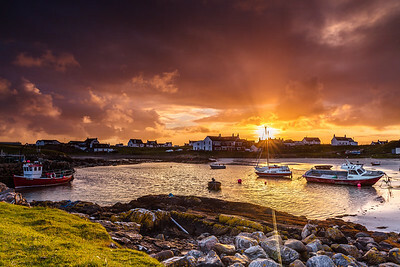 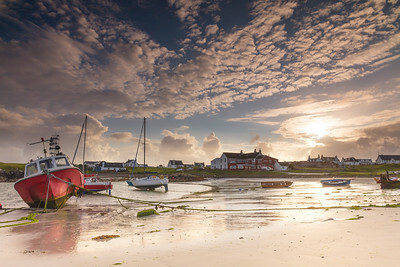 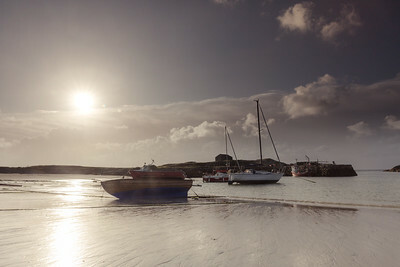 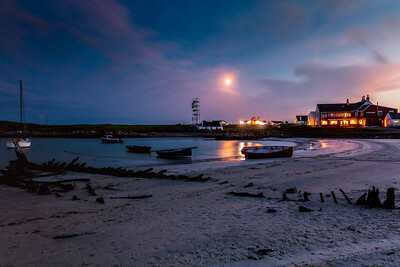 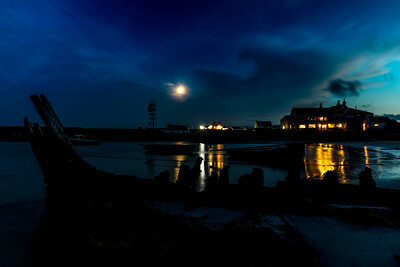 The harbour in the Scottish Hebridean Island of Tiree features a wonderful shipwreck that emerges as the tide recedes. 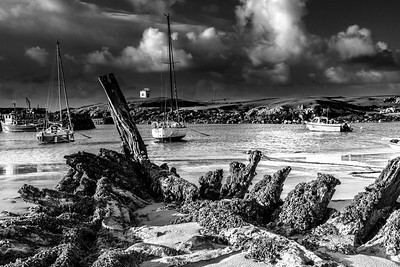 It's gradually disappearing as the sea crashes against it day and night.